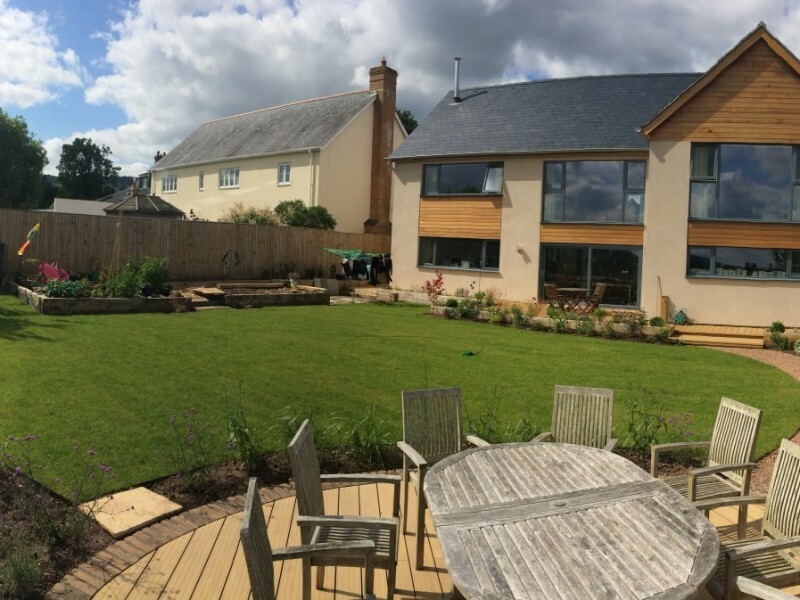 This is a four bedroom house with a large lounge and viewing area positioned on the first floor. 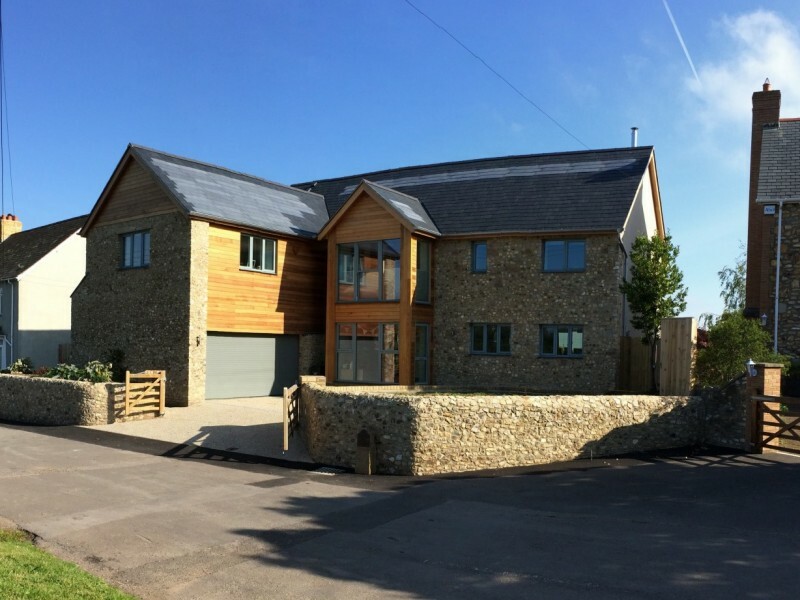 Built on the site of a 1960’s bungalow the house is very thermally efficient and incorporates an extremely airtight timber frame construction built to exacting standards. 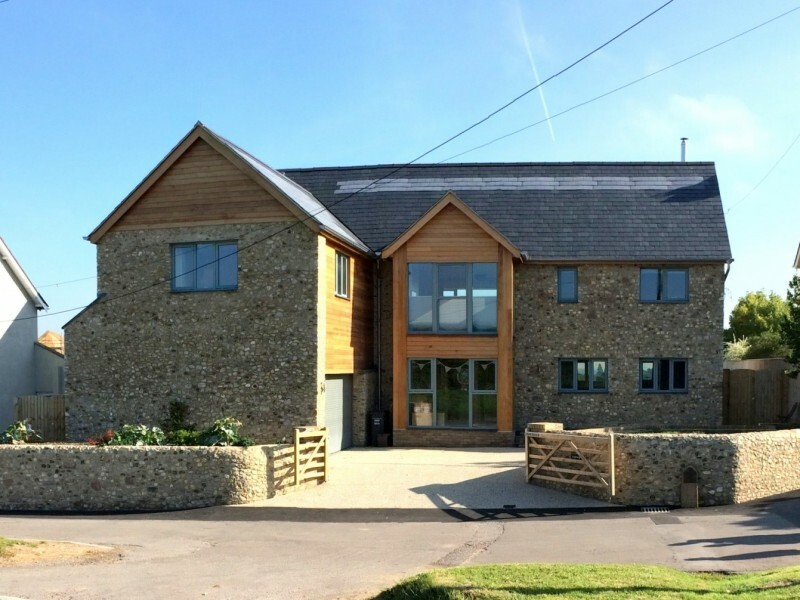 Amongst the energy saving features incorporated in the design are an; air source heat pump, water harvesting, underfloor heating, thermal solar panels and ‘solar slates’ which blend with the natural slate roof and can just be seen as a slightly lighter finish on the roof. 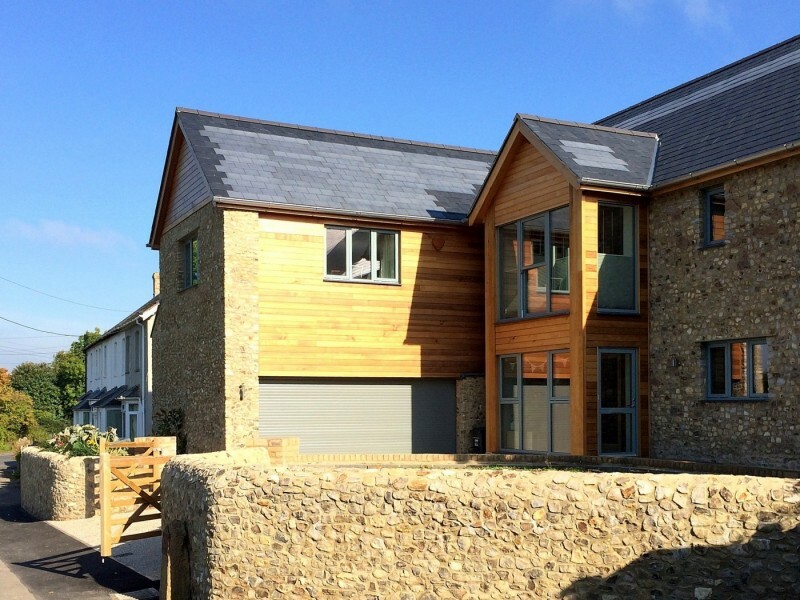 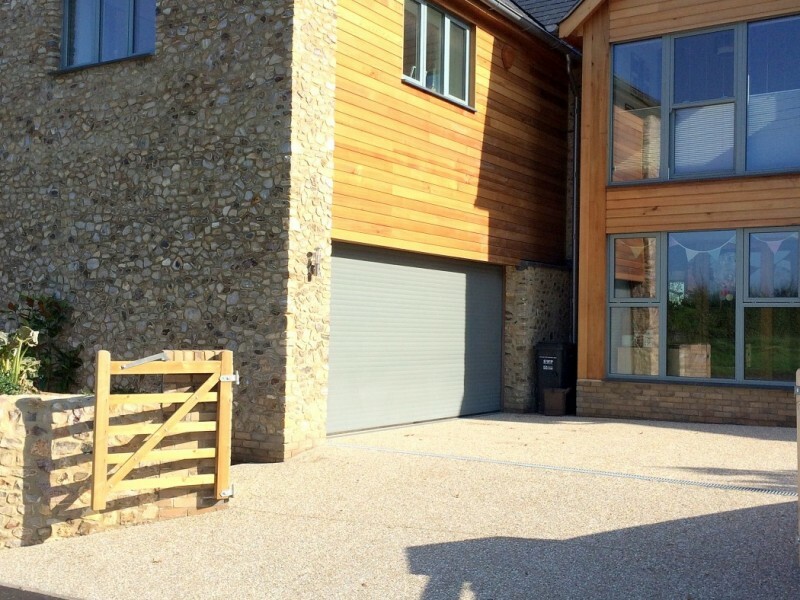 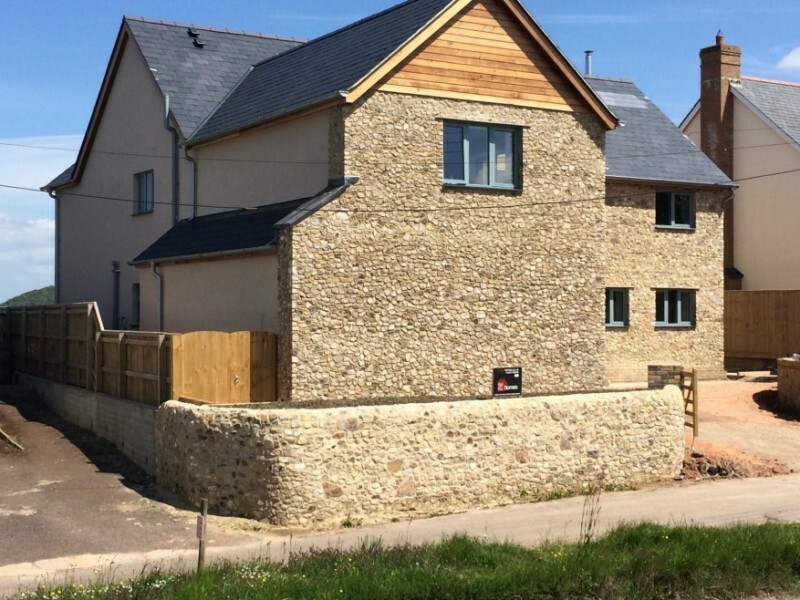 The roadside elevation is clad with Devon Churt, the local stone and, cedar panels and has highly efficient timber windows merging the house well into the local vernacular. 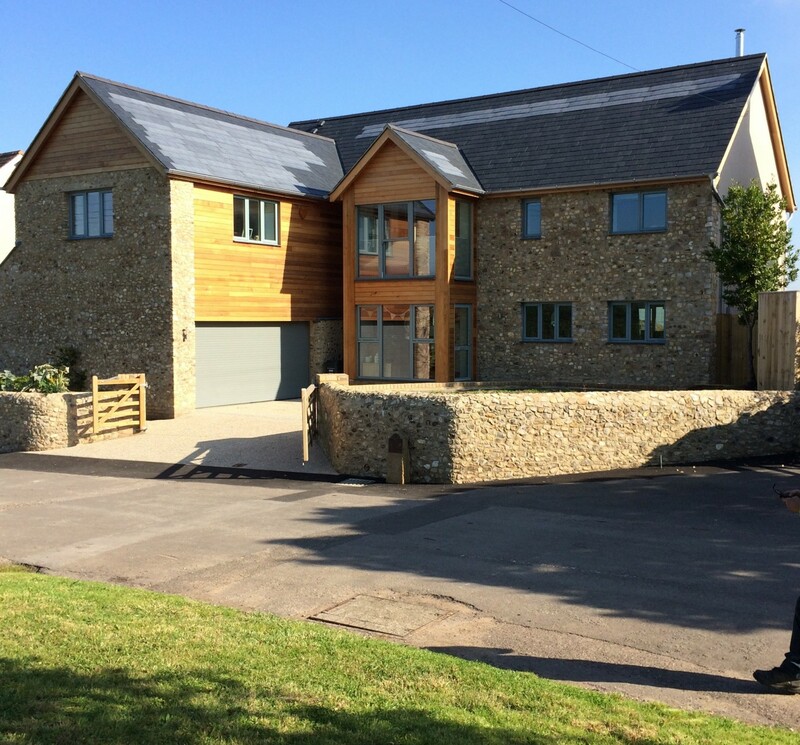 Whilst the rear is more contemporary in form with large aluminium windows overlooking the tremendous views and self coloured render walls.